Flying a Chinese Airline is always a gamble, that is true. While you should avoid Air China, carriers such as Hainan Airlines or Xiamen Air offer a great and competitive product. In fact, Hainan is even rated a 5-Star airline, a title that was also awarded to Qatar Airways, EVA Air or Cathay Pacific. It's a privileged club to be a part of. 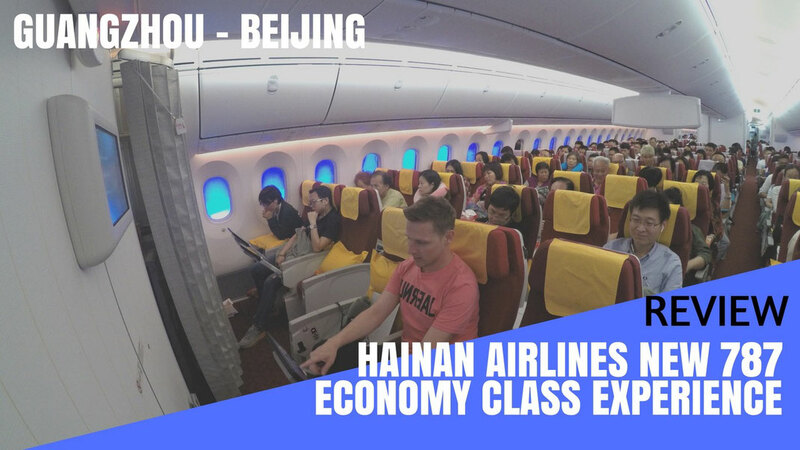 If you don't want to read the review (I know, too many words) you can just lean back and enjoy my video report which gives you a detailed inside of what it's like to travel on Hainan Airlines Business Class. 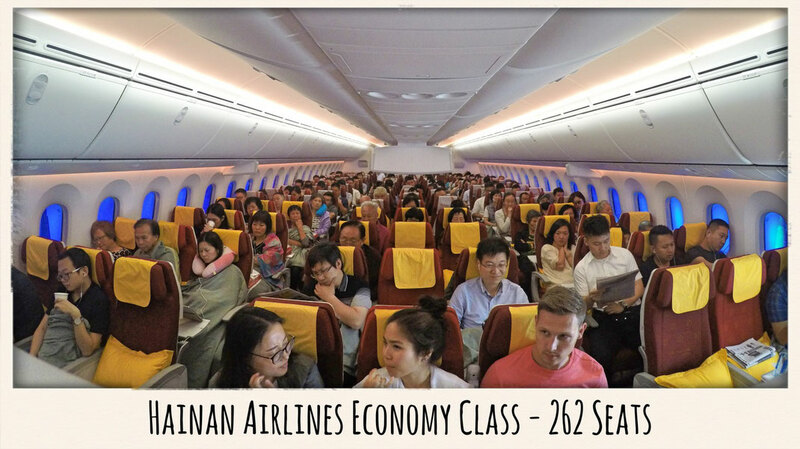 Quick Overview - What is included on Hainan Airlines Economy Class? Personal Entertainment offering Western and Chinese movies, games and other entertainment options. Free food, snacks and all kind of beverages, including alcohol. 130MB Free Internet allowance. Only useable on iPad and Computers though. Free Booze, Free Internet and No Phones. 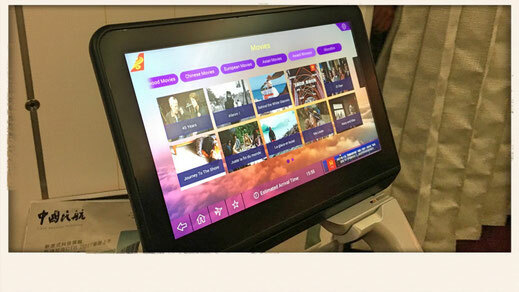 Hainan Airlines is a full serviced carrier and everything is included in your airfare as well as alcoholic beverages. Let's say you want to fly from Toronto to Beijing during the peak season, a fairly popular route. A return ticket with Hainan Airlines will cost you around $1,000 while Air Canada charges you $1,600 for the same flight and the Canadian carrier isn't particular known to be a good airline. The entertainment offers a great range of both Western and Chinese movies, cool games and a 'Seat Chat' function as well as a Duty Free shop. Every screen has an USB port to charge your devices. According to Chinese Aviation regulations, phones need to be switched off (they can't even be on flight mode) during the duration of the flight. You get a 130MB of free internet data which is enough for a bit of chatting and reading the news. Food was alright, The seats are comfy. For the food, I wasn't too impressed to be honest. They served noodles with chicken and It was quite dry and had almost no flavours. I tried the piece of cake but also my dessert shared the same destiny as the chicken and was just plain dry. I have had better food on Hainan in the past. Hainan's Dreamliner Fleet is still pretty young and the cabins still in great shape. The cabin comes in a 3-3-3 configuration and features 262 Economy Class seats. Which transpacific Routes is Hainan Airlines serving? Here is a list with all Hainan Airlines 787 Dreamliner routes. The hard product was spotless and it seems that more and more Chinese travellers seem to learn how to behave and to respect the crew and especially your seat mate if thats an argument against flying with Hainan. 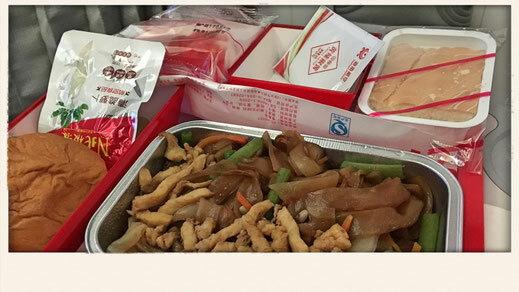 The food was below average on this particular flight but I enjoyed the entertainment and the extra perks such as free internet or a free flow of booze. On a transpacific flight I'd prefer flying Hainan than Air Canada or any American carrier. Does Hainan deserve to be a Skytrax 5-star airline? I don't think there is anything that makes them stand out. They’re great for sure, but to say their product is among the best in the world seems a bit off. But I would fly Hainan again without hesitation.